As a parent, you always want the best for your child. Your unconditional love means that you never skimp on comfort, from your gentle touch to the choices you make for clothes, blankets, and gear. At Ergobaby, we understand you may reach for a baby carrier first to venture out with baby. But especially as your baby gets older, more mobile, and curious, a stroller may be the simpler choice when headed out. 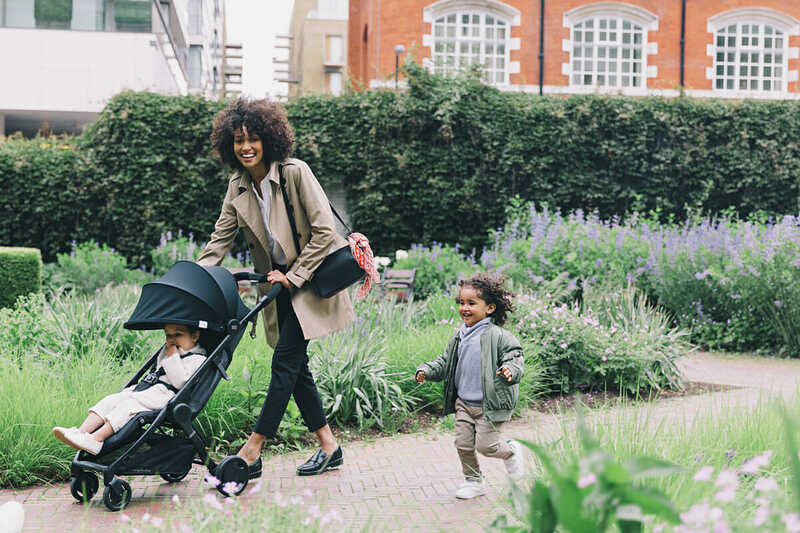 The dilemma every parent faces is making sure their baby is as safe and comfortable while riding in a stroller as they would be in an ergonomic baby carrier. Keeping your baby safe is your No. 1 priority as a parent. From sleeping to baby-proofing your house, there are all kinds of baby safety dos and don’ts. Do stay close to the stroller. Even with the best brakes, you want to be close and aware in case the stroller would start to roll or tip over. Don’t be on your phone while pushing the stroller. Just like when driving, you want your eyes focused on the road ahead, and on your baby of course. Do put the brakes on when stopped. When taking your baby in and out of the stroller, and even if you’re just stopped at a light waiting to cross, put those brakes on. Do store the stroller inside your house or garage. Metals and darker fabrics get too hot outside during sunny summer days and can burn your baby when you set them inside. Don’t hang heavy bags on the stroller handles. Too much weight, especially on lightweight strollers, could cause the stroller to tip over. While strollers are much more common than baby carriers, these are still important safety tips to keep in mind when using a stroller. We wish you safe and happy strolling in all your joys and jobs of parenting!